What’s your anger management style? 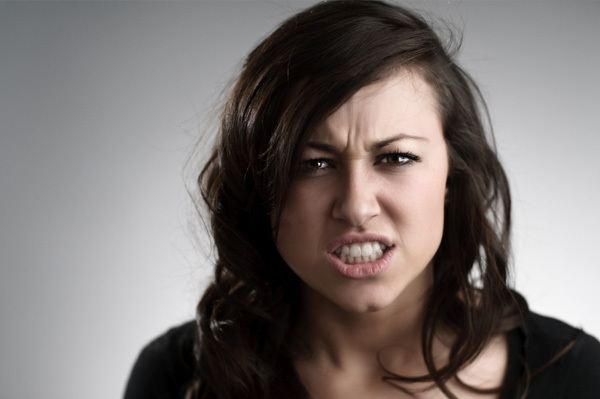 Do you know your anger management style? If not, it could be the reason for problems you are experiencing at home, work or your social life. Stop letting anger manage you and start taking control over life by learning about the three basic styles of anger management: The suppressor, the Venter and the manager or director. Although people will find that they use each style in their everyday life, they will find that one of these styles are more dominate than the others. The source of these styles is a mix of environment and genetics. Certain temperament types are more likely to demonstrate one or more of these styles than others. And the culture, family and society also play a role. But the most important factor in determining how a person came to use one style or another in their most intimate relationships, namely with their families, is through learning. All of the styles of anger management are learned styles. Consequently, if they were learned, they can be unlearned or relearned. What this implies is that parents are not stuck with their particular style of anger management but can learn to better manage or direct their anger. The suppressor style sits on or suppresses anger. People with this style of anger management have learned that anger is all bad, therefore it must be eliminated. But anger is a God-given, natural emotion that cannot be eliminated. Consequently, people bottle up their anger until it reaches the boiling point and they explode over the smallest, insignificant situation. People with this style tend to deny feeling or expressions of anger in their life. They are worried about what others might think or say if they were to express their anger. Their trigger thoughts include needing others to always approve of them or see them in positive light. They might also have grown up in a family with a venting parent. As a result, they might have learned to suppress their anger for fear of retaliation or made a personal vow never to be like their parent. The venter style is at the opposite end of the anger management continuum. Unlike the suppressor, this person freely and uncontrollably expresses their anger. They take no prisoners and have no mercy in the heat of the moment. Anyone and everyone can be a target for their verbal or physical expressions of anger. They often describe themselves as feeling “flooded” or under the control of their emotions which results in them acting out-of-control. They usually feel guilty and remorseful for their expressions of anger after the fact and may make promises to change. These people have learned that anger is a quick and effective way to control others or get what they want. Young children learn that temper tantrums will get them the candy or toy they desire and adults find out that anger outburst will get cooperation from children, however temporary the cooperation might be. The need for power and control are usually at the center of their thoughts. Inversely, they are often very insecure and feel powerless in their life unless they are venting at others. Venters suffer interpersonally. As other avoid their outburst, they become isolated and alone. This too may result in more venting. The last style is the manager or director style of anger management. The person with this style of anger is aware of his anger but uses it in a constructive manner. He or she does not bottle it up like the suppressor or freely blast it like the venter. Instead the manager will acknowledge their emotion and use the energy to create a change in their situation or relationship. For example, a parent might state: “I am very angry that the toys have not been picked up.” The manager or director communicates in an assertive manner by stating what they want and not what they don’t want. They might tell their child: “I want you to pick up all of these toys or I will have to put them away for a while.” They do not blame or shame a child to gain their cooperation. While this might work in the short-term, it usually fails to produce lasting cooperation. Instead it breeds resentment and revenge. Manager or directors do not follow the myths of anger management (“If you get it out, it will go away” and “All anger is bad”). And most importantly, managers and directors detect, dispute, and discriminate any irrational thoughts that might trigger their anger. They are aware of what pushes their buttons and are able, with practice, to disconnect this faulty learning.